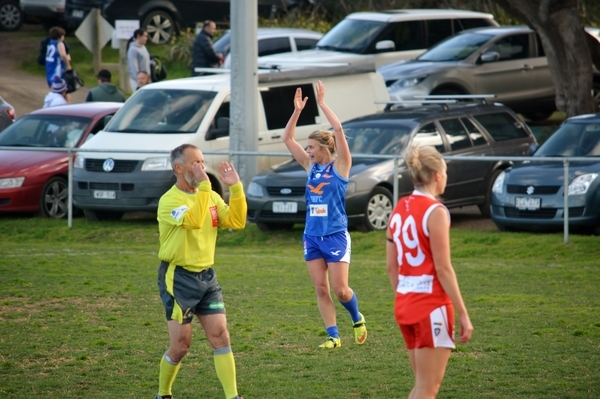 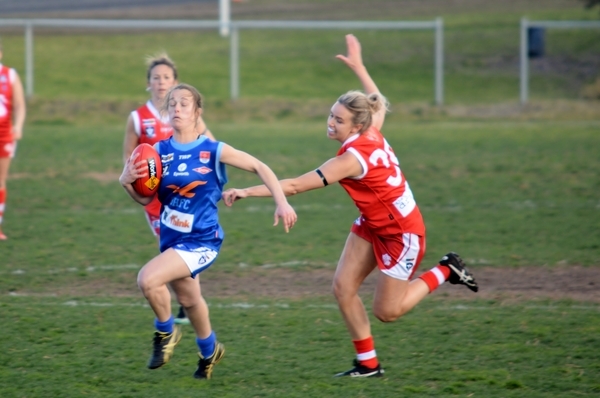 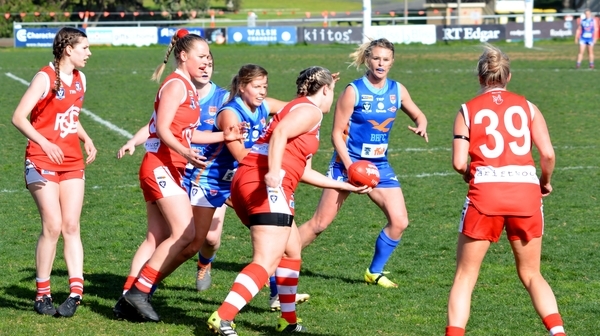 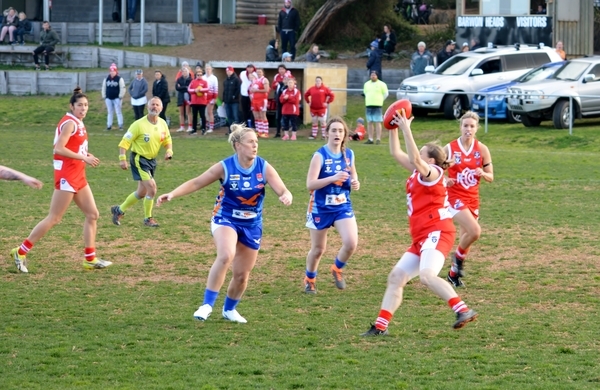 Barwon Heads prevailed in a thrilling Division 2 semi-final against Ocean Grove at Howard Harmer Oval on Sunday. 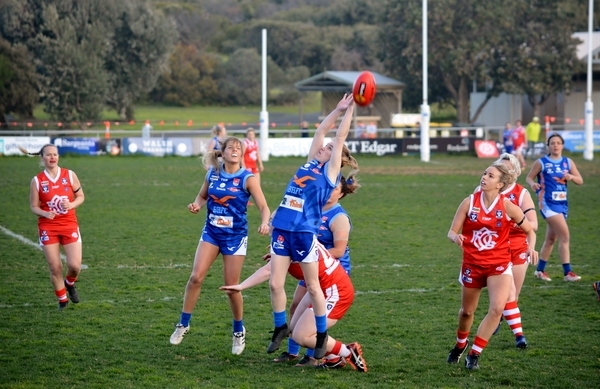 The Heads got home by a point after going goalless after quarter time, 3.4.22 to 3.3.21 in cold and windy conditions. 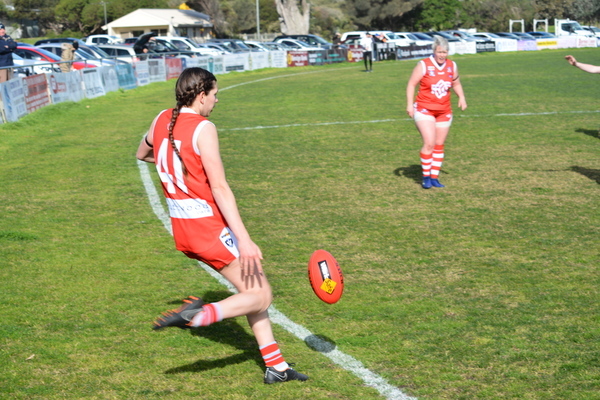 Kicking with the aid of a strong breeze in the first term, the Seagulls led by 19 points at the first change. 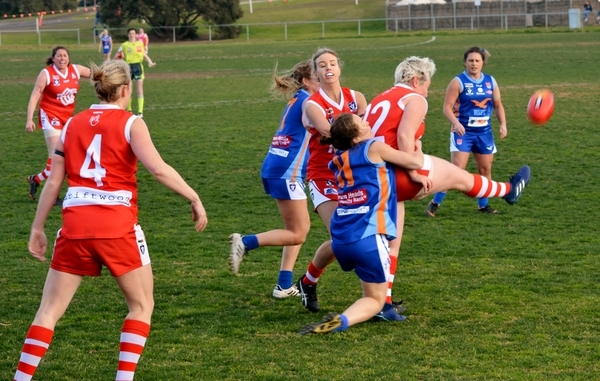 Grove looked in trouble at half time when it could only manage one goal when it came to its turn with the wind. 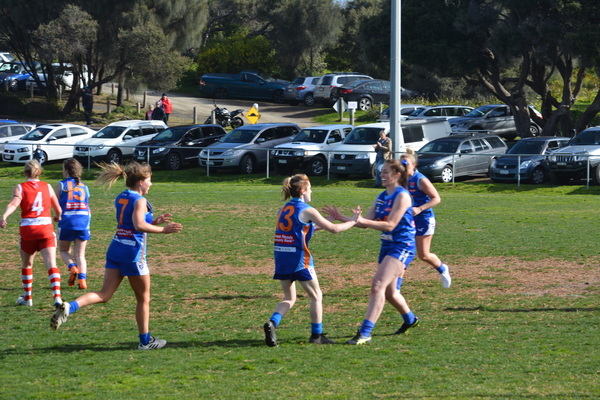 But the Grubbers kept Barwon Heads to one behind in the third quarter while managing 1.1 themselves into the wind. 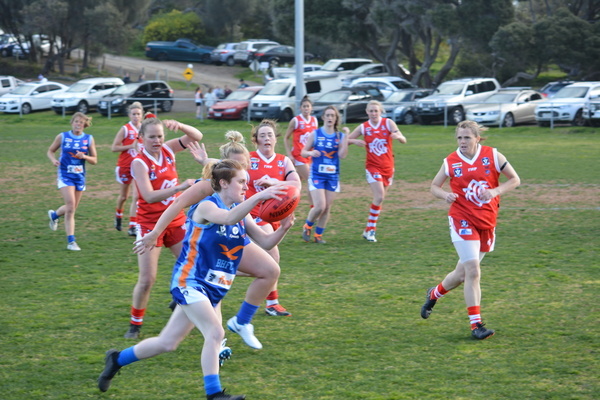 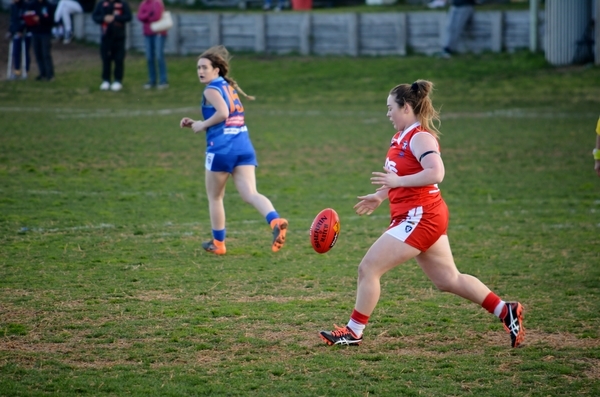 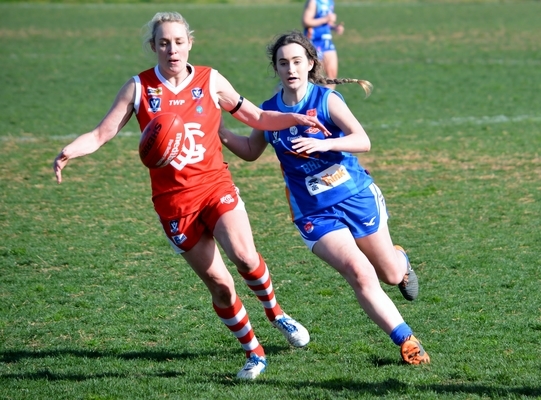 Grove kicked one goal in the final quarter and Barwon Heads was scoreless, but held on to win by a point in an entertaining game. 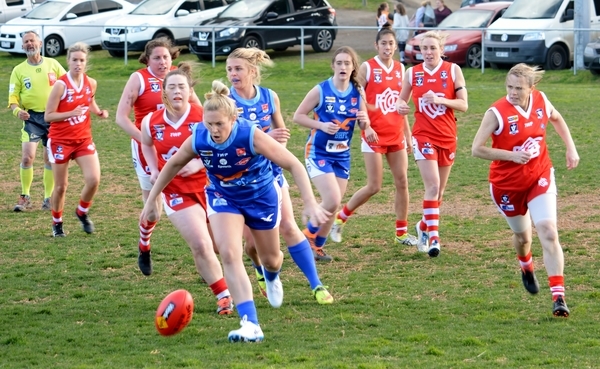 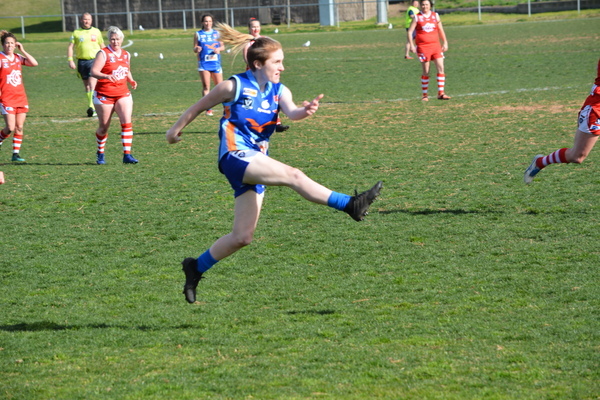 Erinlee Huggard was best afield for the winners while Bridie Mitchell (one goal), Phoebe Steinfort (one goal), Emma Allen, Stephanie Clay (one goal) and Kristie-Lee Drake were fine players. 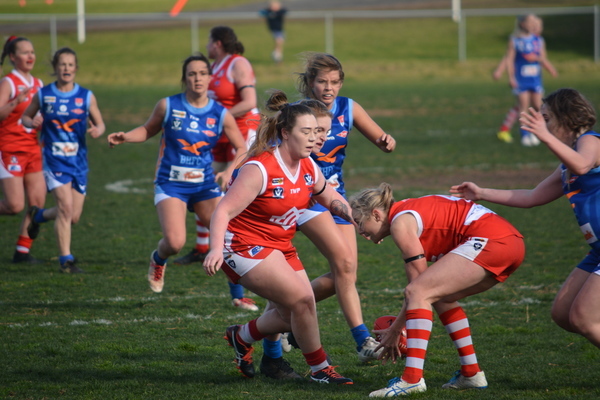 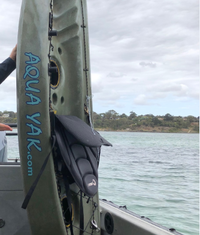 For Grove, none tried harder than Alex Trezise while Rebecca Griffiths, Michelle Fedele, Candace Harrison-Smith, Ariane Lefevre and Sarah West were also in the thick of the action.